We are currently looking for young and dynamic native English speakers having recently graduated from University and who would be interested in having a year experience teaching in Moscow, Russia. 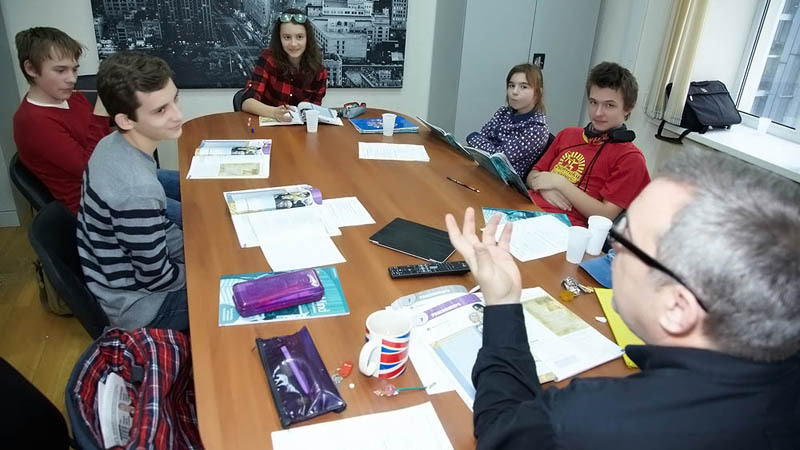 During their time in Russia, Teachers will also have the possibility to take intensive Russian courses taught by experienced and certified native Russian teachers. Teachers will study with group lessons of 3 hours a day from Monday to Friday, from September until June. Successful candidates will join an International and professional team. They will be helped and supported by pedagogical and administrative staff. They will also have the opportunity to teach Academic English to both children and adults, either individually or in groups of up to eight students. Children and teenage groups are divided by age into 3 grades: 6-8yrs, 9-11yrs and 12–17yrs. All groups are divided by level from Beginner to Advanced. Teachers will be required to work up to a maximum of 80 astronomic hours a month. Candidates must be native English speakers – citizenship alone is not sufficient. Candidates must hold a recognized University diploma. Candidates must hold a valid passport with 6 blank pages and a minimum of 2 years remaining. Contact us to learn more about salary, accommodation and all the other benefits available while working at CREF. Be prepared to answer additional questions and be available to have an interview via Skype.